In 2004, spoken word artist Bassey Ikpi was hospitalized after a major bipolar breakdown. She’d been quietly diagnosed with the disorder eight months earlier while on tour with Def Poetry Jam, an HBO slam poetry television series. Hushed by the fear of stigma, Ikpi weathered the storm in silence for as long as she could. Lacking a meaningful support system and feeling isolated, Ikpi was not prepared to accept her diagnosis or that it required a lifetime of careful monitoring and a strict regimen of medication. After six months, she stopped taking her meds, crashed, and was hospitalized for the first time in her life. At the time, she didn't draw a connection between how she was feeling and the experience of racism. Race-based trauma describes the physical and psychological symptoms people of color often experience after being exposed—directly or indirectly—to stressful experiences resulting from racism. According to a report by Boston College’s Institution for the Study and Promotion of Race and Culture, frequent exposure to racism intensifies symptoms of trauma. “Racial trauma is a cumulative experience, where every personal or vicarious encounter with racism contributes to a more insidious, chronic stress,” the researchers wrote. This stress is often magnified by the lack of space to name, express, and heal from it, as Ikpi experienced. Recent media attention to the spate of highly publicized police killings of unarmed Black men has amplified awareness of systemic racism, but experts on racial trauma say that there are currently few adequate therapeutic structures in place to help Black communities process these experiences. Underlying the steady stream of sensational, violent images are more everyday abuses—the discrimination, exclusion, and economic hardships that also compound trauma. “Most clinicians are White, so they don’t experience these things, so they don’t see them, and so they’re not thinking about them,” said Monnica Williams, an African-American clinical psychologist and director of the Center for Mental Health Disparities who specializes in racial trauma. “It’s important to always find out how much of a role stress from racism is playing in [patients’] lives and if it’s to the point where it’s traumatic.” Williams, who treats most of her patients at her clinic in Louisville, Kentucky, is in the process of opening a clinic in Connecticut that will specialize in African-American mental health. In January, she opened a second Louisville clinic focused on treating refugees. She points out that only in the last 15 years have researchers made a clear connection between racial discrimination and negative health outcomes like depression, sleeplessness, anger, numbness, and loss of appetite—symptoms she regularly sees in her patients. In a 2016 report called “Stress in America,” the American Psychological Association said that nearly 40 percent of African-American men reported being treated unfairly by police or law enforcement—unfairly stopped, searched, questioned, and physically threatened or abused. In a 2014 American Journal of Public Health study of young urban men, 85 percent of participants reported being stopped at least once in their lifetime; and those who reported more intrusive police contact also experienced increased trauma and anxiety symptoms. Experts believe that healing these wounds requires several steps, from creating practices and clinics designed to recognize and address race-based trauma to destigmatizing it in the first place. A guidebook for real listening. Williams took a full step back to ask what was missing from the treatment that kept her patient from full recovery. “It was more than just one trauma,” she said. She found that her approach hadn’t addressed the racial component of the abuse or what it meant to her patient—and that her field generally lacked the awareness, knowledge, and skills to competently address racial trauma in a clinical setting. “There was nobody at the place where I worked who had any experience with that, so I had to go out on my own to figure out how to help her,” Williams said. She collaborated with African-American peers who had done work in this area before to better understand how to help her patient and others like her. She found that people who get post-traumatic stress disorder have usually experienced a set of traumas throughout their lives, which they navigate until they reach a tipping point. Looking further into her patient’s history, Williams discovered that the patient had several experiences with racial and sexual harassment in the past. But there is no guidebook for measuring and assessing the compounded psychological impacts of such incidents. Williams would like to see racial trauma recognized by the American Psychological Association as a valid route to PTSD, as well as more clinical practices and therapists trained to treat it. For example, while driving from Louisville to Tuscon, Arizona, to meet with an African-American patient on death row, Williams wondered, “How many of my students would even know what to ask him?” To this end, besides opening a handful of new clinics designed for this, Williams created a structured interview protocol for clinicians with questions that address the cultural experiences of African-American patients. Part of the goal is helping therapists understand and take seriously the experiences leading to racial trauma so that patients feel safe in sharing them. “Research shows that many African Americans may be misdiagnosed. They may have negative interactions with psychologists that negatively impact that relationship,” said Erlanger Turner, assistant professor of psychology at the University of Houston-Downtown. These experiences make it less likely that patients finish the therapy process. Part of Turner’s work includes establishing guidelines that, like Williams’, make sure psychologists understand the importance of cultural and racial factors that might affect the relationship with a client. He is talking with clinicians about the importance of integrating culturally relevant family and community values into the treatment process, how to be comfortable talking about issues related to racism, and de-emphasizing the notion of “color-blindness,” which discounts the impact a person’s race or ethnicity has on their daily life experiences. Recently, Turner’s work has turned to the impacts of police violence. This week, he co-led live Twitter chats with the American Psychological Association and The Root about how police violence has disrupted Black communities, as well as how to cope. Smith, the anthropologist, has also focused her work on violence in Black communities and their responses to it. Her ethnography Afro-Paradise: Blackness, Violence, and Performance in Brazil follows grassroots movements combating anti-Black police violence in contemporary Brazil. “I started working with people who were what I would term to be the survivors of police violence—the mothers, the sisters, the aunts, the community members—who are left to try to grapple and survive in the wake of these deaths,” Smith said. She found that on top of the actual deaths—mostly of Black men—community members were being traumatized beyond basic grief: They were literally dying, slowly, over time, in the aftermath of death. After the 2015 police killing of 16-year-old Roberto de Souza, his mother, Joselita de Souza, passed away from complications resulting from anemia and acute respiratory failure. Family members say she had stopped eating after her son was slain. Roberto was unarmed and was celebrating his first paycheck. The officers involved were not indicted. While watching TV one night after her hospitalization, Ikpi, the poet, turned the channel to a popular African-American show, Girlfriends, in which a bipolar character was being introduced. 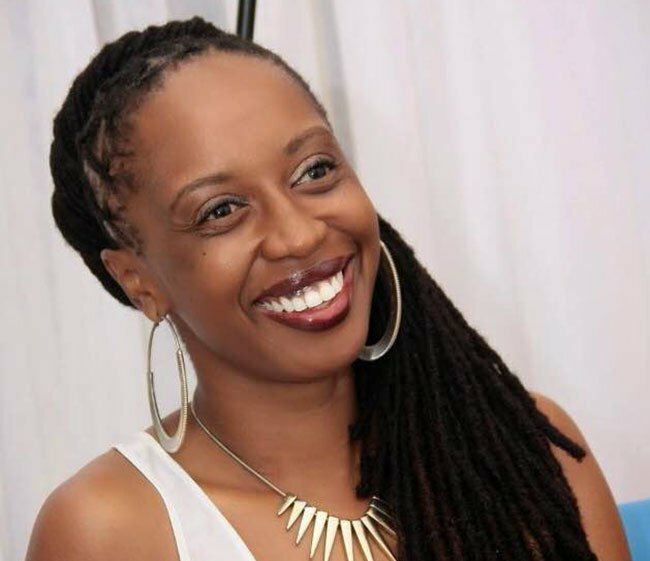 Ikpi felt a strong sense of personal responsibility to say what others in the Black community weren’t saying, using her popularity as a blogger and poet to create an open space for talking about mental illness. Last year, Ikpi launched The Siwe Project, a nonprofit dedicated to promoting mental health awareness in the Black community. It was named in honor of a close friend’s daughter, Siwe, who committed suicide at the age of 15 after struggling with mental illness. The goal is to broaden public dialogue around the lived experiences of African Americans with mental illness.